Car camping is different from most other types of camping because car camping can be really very luxurious as the tents made for car camping are way too specious and feature-rich than most others. In this article, we are going to review some of the best car camping tents in 2019. Car campers can expect to set up cots and even chairs and tables inside the tent and play card games on rainy days. Usually, car campers take just a few camping trips a year; normally during the peak summer, months and even the most inexpensive of the tents mentioned in this list will perform well for car camping use. As a car camping tent can easily be used for several years, you should consider it as a long term investment and go for comparatively stronger and expensive tents to have highest possible durability. This is a really big tent at a sweet price. This dome style tent with the floor area of 99sq ft can accommodate 6 persons very easily. 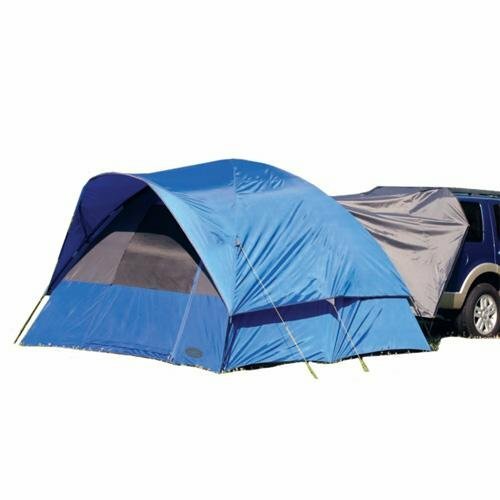 The other key features of this free-standing, three season, deluxe car camping tent include 18 interior mesh pockets. The body made with lightweight polyester mesh and durable polyester rip-stop, two large doors, color-coded grommet webbing, and buckles to ensure easy setup. It is really easy to set up this 6 person best car camping tent quickly. The lightweight aluminum poles will make this tent super portable and easy to carry in your car. This tent is having another great feature such as fit connectors, reflective guyline for nighttime visibility, briefcase style carry bag with long shoulder straps and organizational pockets. It is having waterproof coating and a few additional features that are essential and fun for camping. For easy and quick set up, plastic clips and sleeves attach the body of the tent to the pole frame. Available in red and yellow, the tent is very compatible with Big Agnes Entertainment Center loft which is sold separately. So, the features are endless and you can expect to have maximum protection inside the tent even in very windy conditions. But it is important to understand that the extra space inside the tent creates a sail-like effect in the wind and that is why you should ensure staking the tent out completely using the included guylines. Are you interested in motorcycle camping, why don’t you check our list here. Another dome style 6 people, three season tent perfect for car camping. It takes 2nd place in the 2019 review because of quality, features, and cost. Its key features include DAC DA17 Poles, a floor area of 83sq ft, two generous doors (one d shaped one vestibule), handy, removable hanging pockets and more which needed for good car camping experience. It is available in hatch and dark cedar colors. The floor made by heavyweight oxford 150 denier with a doormat that can give good protection in the ground level. This tent’s maximum height inside is 6 feet 4 inches which are fair enough for good camping. The tent can be set up in minutes by a single person. Its aluminum alloy poles provide great strength to weight ratio of 14.5 and 12mn. Although it might seem a little costlier as compared to Big Anges Big House but its strong and long list of features make it a reasonably priced tent that you can expect to use for several years. Maybe the most important feature that makes it perfect for car camping is its excellent weather resistance capability. It has two other variations made for 4 persons and 8 persons respectively. 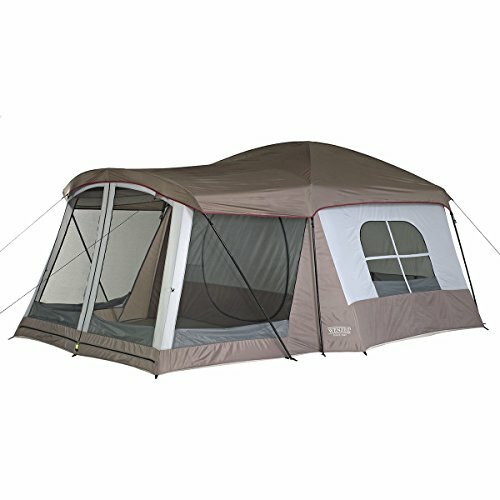 Although most of the features are more or less same, 4 person tent has a few less such as it has just a single door. When you are ready to pay the premium price, Big Anges is ready to offer its best product. With three different variations, Big Anges Flying Diamond can be the perfect choice for a frequent car camping. The 4 person tent costs around $400 and 8 person tent is around $500 but 6 person tent cost for around $600. And Big Anges 6 person tent is regarded the most suitable for car camping. But you may prefer to have the other ones based on your personal requirements and likings. We recommend you to have this especially when you camp occasionally on snow. Big Agnes Flying Diamond is a free-standing, four seasons, deluxe car camping tent. Its key features include awesome weather protection, robust fabrics and a sturdy pole structure, DAC combination lightweight aluminum poles with press fit connectors. Like other camping tents, it comes with 2 doors, one access door off smaller, back room and one large vestibule off the main room. The tent is available in Rust and Charcoal colors. With 90.5 sq. ft. floor area, you can expect to accommodate plenty of things inside the tent, even you can think about keeping your portable generator inside the tent when it is not in use. Do you think those tents for car camping look expensive? here is another set of cheap best car camping tents. Coleman Instant Tent 6 is a multi-purpose tent and you can easily use it for your occasional car camping. Coleman is a great camping tent and outdoor product brand you can trust in their products. It has 2 other variations for 4 persons and 8 persons respectively. You can expect great ease of use and ample space inside to accommodate all your camping gears, yourself and your companions. 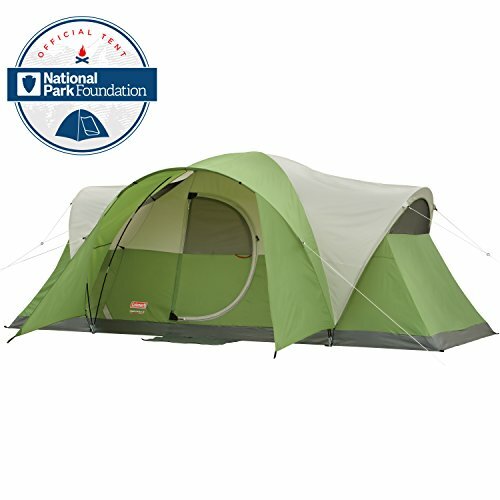 This budget tent is especially perfect for summer car camping where rain and wind are not important factors. The word “instant” in the name of the tent implies it is incredibly easy to set up as it comes with pre-attached poles. 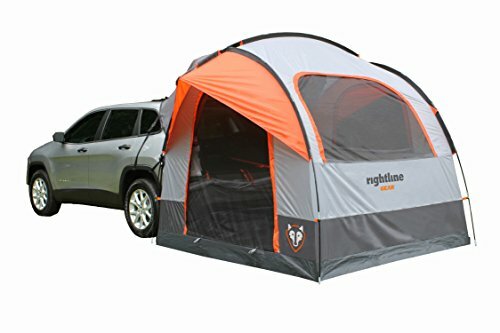 Its key features includes Built-in vented rainfly for a decent weather protection, Illumiline reflective guy lines for perfect nighttime visibility, 150D/150D Polyester/taped seams, 10 x 9 ft. footprint, 6 ft. 2 in. center height. The spacious interior has room for 2 queen airbeds that can fit easily inside this cheap and best car camping tent. And patented welded floors and inverted seams ensure no water leak inside. This is a strong built, plenty of room, straight walled, cabin style tent in really very affordable price. So, like the expensive car camping tents, it is a feature-rich tent and you can expect to have a perfect car camping experience with it if the weather condition is not too hostile. Its main features include Fire retardant, one large ‘D’ Style door simplifies exit or entry, made of the coated polyester fabrics are durable and long lasting. It comes with all carry bags and stakes. External guy points on the fly help secure your tent in high winds, twin track zippers for separate operation of the window in the door. This is another high standard tent which took the place in this 2019 review. The floor area of the tent is 100sft and all its 6 poles are made of Fiberglass / steel. Although the tent has just a single door, its 4 windows ensure maximum ventilation. Other features such as powder coated steels and shock corded fiberglass and with enough storage inside the tent. 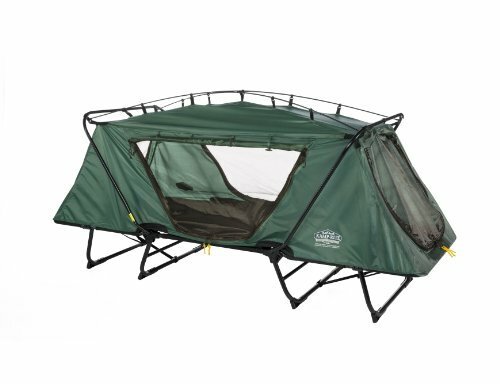 Although this one is a little too heavy (32 pounds), it can be a perfect solution if you camp is a quite windy and/or rainy weather condition and you don’t have a big budget. Its key features include made of polyester, 6 ft. 10 in. center height, 17-by-nine (W x D) footprint. Two rooms setup is a great deal to manage more campers inside the tent. It comes with a one-year manufacturer’s warranty. 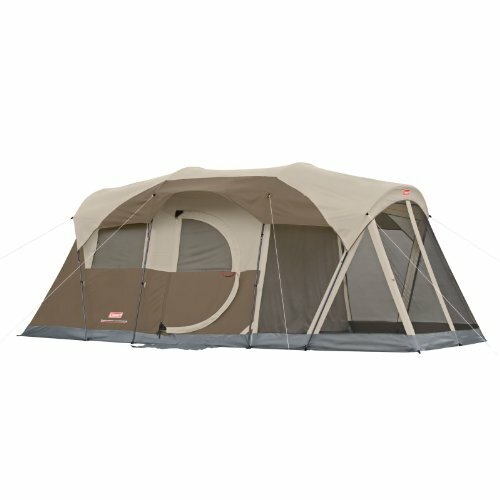 Coleman’s high standards are maintained in this tent and you can buy it with confidence for your car camping experience. Proprietary WeatherTec system will protect this from bad weather. The tent is available only in brown. In a nutshell, you can get plenty of room, enough of ventilation, strong water protection at an affordable price. We highly recommend you to go for one of the first 3 tents mentioned in this list. But if you have some budget constraints, you can consider one of the other three. After having a close look at all the features of these all 6 best car camping tents in 2019, you should be able to make a decision based on your own personal requirements and likings. Because your personal requirements and liking will determine exactly what is best for you. We just make it easy for you to make a perfect camping tent purchasing decision.